Read Theodore Roethke best poems. He was an american poet. He published several volumes of award-winning and critically acclaimed poetry. 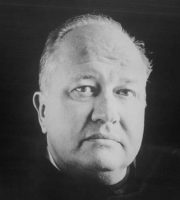 Roethke is regarded as one of the most accomplished and influential poets of his generation. Roethke's work is characterized by its introspection, rhythm and natural imagery. He was awarded the Pulitzer Prize for poetry in 1954 for his book, The Waking. "He was probably the best poetry-writing teacher ever, " said poet Richard Hugo, who studied under Roethke and was twice nominated for a Pulitzer.